Last Updated on March 4, 2019. PLEASE CAREFULLY READ THE FOLLOWING TERMS OF SERVICE OF THE HONEST COMPANY, INC. AND ALL OF ITS SUBSIDIARIES, SUCCESSORS IN INTEREST AND ASSIGNS (COLLECTIVELY, “THE HONEST COMPANY”, “US”, “WE”) BEFORE USING: www.honest.com, all related websites, products, services and related mobile applications (the “Honest Services”), as well as www.alt12.com and all related websites, products, services and mobile applications, including BabyBump, Pink Pad, Kidfolio and Baby Names (the “Alt12 Services”, together with the Honest Services, the “Site”). In order to enjoy all the benefits of the Site, you must register and become a member. You may visit the Site without registering. All users of this Site agree that access to and use of this Site is subject to the following terms and conditions and other applicable law. You agree that by using this Site and registering for membership, you are at least 18 years of age if you are a resident of the United States or otherwise the age of majority in your jurisdiction of residence, or in the case of the Alt12 Services, at least 13 years of age, visiting under the supervision and consent of a parent or guardian, and legally able to enter into a contract. Please read these rules before entering The Honest Company, Inc. "MOM CRUSH GIVEAWAY" (the "Sweepstakes"). You agree that by entering this Sweepstakes you will be bound by these Official Sweepstakes Rules (the "Rules") and you acknowledge that you satisfy all Sweepstakes eligibility requirements. By entering the Sweepstakes, you consent to being placed on an email mailing list for promotional and other marketing materials from The Honest Company, Inc. You may opt out of these communications at any time. Information about how to opt out will be included in all promotional emails and can also be obtained by visiting www.honest.com/privacy. Eligibility. This Sweepstakes is limited to legal residents of the fifty (50) United States of America and the District of Colombia. (Sweepstakes excludes residents of all other US territories, commonwealths and possessions, including but not limited to Puerto Rico). Entrants must be at least 18 years of age and cannot be employed by The Honest Company, Inc. nor can they be employed by any companies or agencies directly connected with the creation and administration of this Sweepstakes, or be a household member or immediate family member of the aforementioned employees. This Sweepstakes is subject to all applicable laws and regulations and is void where prohibited by law. Timing. The Sweepstakes will run from 9:00 am PST on 4/23/2019 to 11:59 pm PST on 4/24/2019 (the "Sweepstakes Period"). The Honest Company, Inc.’s computer is the official time keeping device for the Sweepstakes. How to Enter. Enter the Sweepstakes during the Sweepstakes Period online by signing into Instagram and performing the tasks provided. 1. Follow @honest and @thebouqsco on Instagram 2. Tag your mom crush in the comments section with #contest Entries may also be submitted by mail by sending a letter providing entrant’s name, mailing address, day and evening telephone numbers, and email address to Sponsor at: The Honest Company, Inc., Attn: "MOM CRUSH GIVEAWAY", 12130 Millennium Drive, Suite 500, Los Angeles, CA 90094. Letters must be postmarked no later than 4/24/2019 and received no later than 4/25/2019. Any attempt by any entrant to obtain more than the stated number of plays by using multiple/different email addresses, identities, registrations and logins, or any other methods will void that entrant’s plays and that entrant may be disqualified. In the event of a dispute as to any registration or play, the authorized account holder of the email address used to register will be deemed to be the entrant. Prize. Of the “MOM CRUSH GIVEAWAY” submissions, five (5) random person(S) and the person they tag will receive one (1) gift card from The Bouqs Co (valued at $70.00), one (1) 3-in-1 Detox Mud Mask (valued at $19.99), one (1) Gently Nourishing Bubble Bath (valued at $11.95), and one (1) Gently Nourishing Face + Body Lotion (valued at $9.95). The total prize value for this giveaway is $111.89. Prizes cannot be transferred, redeemed for cash or substituted by winner. Sponsor makes no representation or warranty concerning the appearance, safety or performance of any prize awarded. Sponsor will not replace any lost or stolen prize items. Prize Drawing for Participants. The Prize Winner will be selected at random and notified via Instagram or email within three days after the conclusion of the Sweepstakes Period. If a potential winner does not respond within ten (10) business days of being contacted or refuses to sign and return the Affidavit of Eligibility and Liability/Publicity Release as well as a W-9 in the event that the dollar value of the prize is $600 or more, the potential winner forfeits the prize and Sponsor may in its sole discretion randomly select an alternate prize winner from the pool of eligible entrants. All prizes will be fulfilled approximately one month after execution of required paperwork. For more information on the specific drawing and randomization procedures, please send an express written request to: The Honest Company, Inc., Attn: MOM CRUSH GIVEAWAY, 12130 Millennium Drive., Suite 500, Playa Vista CA 90094. ALL FEDERAL, STATE AND LOCAL TAXES ASSOCIATED WITH THE RECEIPT OR USE OF ANY PRIZE IS SOLELY THE RESPONSIBILITY OF WINNER. Winners' List. The Winner List will be compiled after the winner’s confirmation process is complete and will be made available upon express written request. Please send all requests for the Winners' List to: The Honest Company, Inc., Attn: MOM CRUSH GIVEAWAY, 12130 Millennium Drive., Suite 500, Playa Vista CA 90094. Publicity. Except where prohibited, participation in the Sweepstakes constitutes each entrant's consent to Sponsor's use of entrant's name, likeness or submissions for promotional purposes in any media, worldwide, without further payment or consideration. Limitation of Liability and Release. Sponsor assumes no responsibility for: (1) technical delays or failures of any kind, (2) unauthorized human intervention during any part of the Sweepstakes, (3) technical or human error during the administration or processing of the Sweepstakes, or (4) any loss, injury, or damage caused, whether directly or indirectly, in whole or in part, from downloading data or otherwise participating in the Sweepstakes. By entering into this Sweepstakes, entrants agree to release and hold harmless Sponsor, Facebook, and their respective subsidiaries, affiliates, suppliers, distributors, advertising/promotion agencies and each of their respective parent companies and each company's officers, directors, employees and agents from and against any claim or cause of action, including, but not limited to, damage to or loss of property, arising out of participation in the Sweepstakes or receipt or use or misuse of any prize. Additional Terms. The Honest Company, Inc. reserves the right to cancel, suspend and/or modify the Sweepstakes, or any part of it, if any fraud, technical failures or any other factor beyond the Sponsor’s reasonable control impairs the integrity or proper functioning of the Sweepstakes or, as determined by the Sponsor in their sole discretion. The Honest Company, Inc. reserves the right in their sole discretion to disqualify any individual it finds to be tampering with the entry process or the operation of the Sweepstakes or to be acting in violation of the Official Rules of this or any other promotion in an unsportsmanlike or disruptive manner. Any attempt by any person to deliberately undermine the legitimate operation of the Sweepstakes may be a violation of criminal and civil law, and, should such an attempt be made, the Sponsors reserve the right to seek damages from any such person to the fullest extent permitted by law. Sponsors’ failure to enforce any term of these Rules shall not constitute a waiver of that provision. We grant you a limited license to access and use the Site for your personal use, and to copy, distribute, transmit and print the content of this Site only to the extent that such copying, distribution and transmission is automatically done through your browser software incidentally to using the Site for your personal use, or as otherwise set forth below as it relates to the Alt12 Service. This license does not include any resale or commercial use of this Site or its contents; any collection and use of any product listings or descriptions; any derivative use of this Site or its contents; any downloading or copying of account information for the benefit of another merchant; or any use of data mining, robots or data gathering and extraction tools. The Honest Company grants you a nonexclusive, nontransferable, revocable, limited license to view, download, copy and print content retrieved from the Alt12 Services only for your personal, noncommercial use, provided that you do not remove or obscure any copyright notice, trademark notice, or other proprietary rights notices displayed on or in connection with the content. Except as permitted above, this Site or any portion of this Site may not be reproduced, duplicated, copied, sold, resold, visited or otherwise exploited for any commercial purpose without express written consent of The Honest Company. You may not use any meta tags or any other "hidden text" utilizing The Honest Company's name or trademarks without the express written consent of The Honest Company. Any unauthorized use terminates the permission or license granted by The Honest Company. Posting false or irrelevant content, or repeatedly posting the same or similar content. The Honest Company will have the right to investigate and prosecute violations of any of the above, including intellectual property rights infringement and security issues, to the fullest extent of the law. The Honest Company may involve and cooperate with law enforcement authorities in prosecuting users who violate the Terms of Service. You acknowledge that The Honest Company has no obligation to monitor your access to or use of the Alt12 Services or to review or edit any content you post or share to the Alt12 Services, but has the right to do so for the purpose of operating the Site, to ensure your compliance with the Terms of Service, or to comply with applicable law or the order or requirement of a court, administrative agency or other governmental body. Your use of the Alt12 Services and the related licenses granted hereunder are also conditioned upon your strict adherence to the letter and spirit of the various applicable guidelines detailed on the Alt12 Services, including without limitation the guidelines for the BabyBump app available here, the guidelines for the Baby Names app available here, the guidelines for the Pink Pad app available here and the guidelines for the Kidfolio app available here. We may modify such guidelines in our sole discretion at any time. We reserve the right to terminate your account and access to the Alt12 Services if it is determined that you have violated any such applicable guidelines. Your use of the Honest Services and the related licenses granted hereunder are also conditioned upon your strict adherence to the letter and spirit of the various applicable guidelines detailed on the Honest Services, including without limitation the guidelines for use of the Honest Mobile Application community feature available here. We may modify such guidelines in our sole discretion at any time. We reserve the right to terminate your account and access to the Honest Services if it is determined that you have violated any such applicable guidelines. To register and become a member of our Site, complete the registration form by providing information such as your valid email address and creating a password to register your profile. You may also login or create an account using Facebook. If at any time you no longer want to access the Site via Facebook, please go to your Facebook permissions in your personal profile and edit your preferences. Facebook is considered a third party site per the definition outlined in this agreement. Each time you use your password or identification, you will be deemed to be authorized to access and use the Site in a manner consistent with these Terms of Service and The Honest Company has no obligation to investigate the authorization or source of any such access or use of the Site. As a registered member of the Alt12 Services in the United States, your email address and password can be used to log into the Honest Services. To cancel your Bundle or Honest Box subscription, you can do so online at any time (in your account settings) or call Honest Support at 1.888.862.8818 Monday - Friday 5AM - 5PM (Pacific). As a registered member of the Site, we may send you emails promoting any special offer(s), including third party offers, as well as monthly newsletters, unless you opt-out at any time either in your account settings, by using unsubscribe buttons in emails you receive from us or by emailing us at info@thehonestcompany.com indicating that you would like to unsubscribe from marketing emails. A Trial contains trial sizes of The Honest Company's products and allows you to try them before purchasing a full Bundle. Depending on your selection, your trial may contain (i) travel size Honest Shampoo & Body Wash, Honest Face + Body Lotion, Organic All-Purpose Balm, Multi-Surface Cleaner and Honest Hand Soap; (ii) or a handful of Honest Diapers & Wipes. Our Diapers and Essentials trials are free, but there is a shipping and handling fee of $5.95 USD. 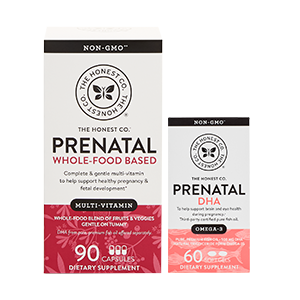 In addition to the Free Trials, The Honest Company offers a trial of Organic Premium Infant Formula and Sensitive Organic Infant Formula for $7.95 USD, and shipping and handling is free. When you receive your Trial, you begin a seven-day trial membership with The Honest Company. The date of receipt will be the date your Trial products are delivered, as determined by the tracking system of the shipping service used by The Honest Company. IF YOU ENJOY THE PRODUCTS IN YOUR TRIAL AND DO NOT CANCEL YOUR SUBSCRIPTION WITHIN SEVEN DAYS, WE WILL AUTOMATICALLY SHIP YOU THE BUNDLE WHICH CORRESPONDS TO YOUR TRIAL AND CHARGE YOUR BANK OR CREDIT CARD ACCORDINGLY FOR THE BUNDLE PRICE AS WELL AS ANY APPLICABLE TAXES AND SHIPPING AND HANDLING FEES. Your Bundle shipments will continue automatically, every four weeks, as described below, until you cancel or change your Bundle subscription. IF, AFTER RECEIVING YOUR TRIAL, YOU DO NOT WISH TO PURCHASE A FULL BUNDLE, PLEASE CALL HONEST SUPPORT AT 1.888.862.8818 (MONDAY - FRIDAY 5AM - 5PM PACIFIC) OR DO SO ONLINE IN YOUR ACCOUNT SETTINGS, WITHIN SEVEN DAYS TO CANCEL YOUR SUBSCRIPTION. YOU MAY CANCEL AT ANYTIME DURING THE TRIAL PERIOD WITHOUT OBLIGATION. If you purchase either a Diapers Bundle, Essentials Bundle or Health & Wellness Bundle, you will receive a shipment every four weeks containing either (i) a one month's supply of Honest Diapers (supply amount based on average usage), (ii) an assortment of five personal care or cleaning products or (iii) a one month's supply of supplements from The Honest Company. 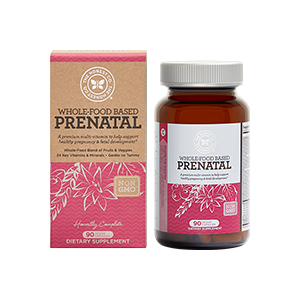 If you purchase an Organic Infant Formula Bundle, you will receive a recurring shipment of four tubs or two tubs of Organic Premium Infant Formula or Sensitive Organic Infant Formula of your choosing every 3, 4, 5 or 6 weeks, based on your selection. You may log into your account and customize your Bundle at any time. 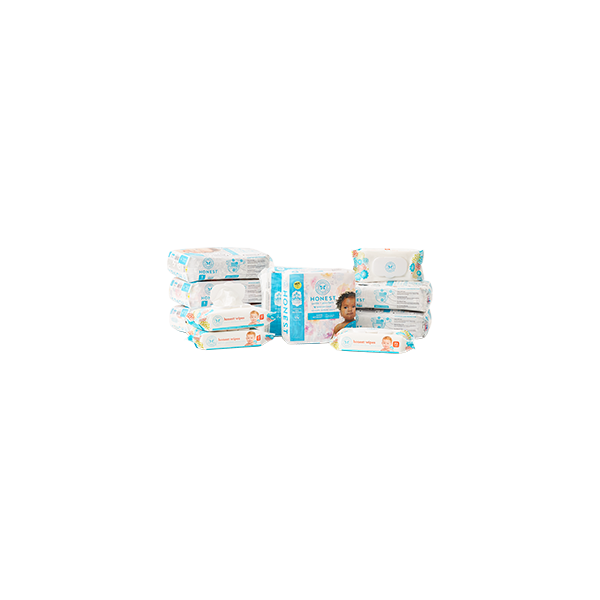 For the Diapers Bundle, you can select the diaper size and design and advance or delay the next month's shipment as you wish. For the Essentials Bundle, your trial kit will contain Honest Shampoo & Body Wash, Honest Face & Body Lotion, Organic All-Purpose Balm, Multi-Surface Cleaner and Honest Hand Soap. After your trial kit, you can customize your Bundle each month by selecting any five products of the many offered as part of the Bundle. For the Health & Wellness Bundle, you can customize your Bundle each month by selecting any two products of those offered as part of the Bundle. 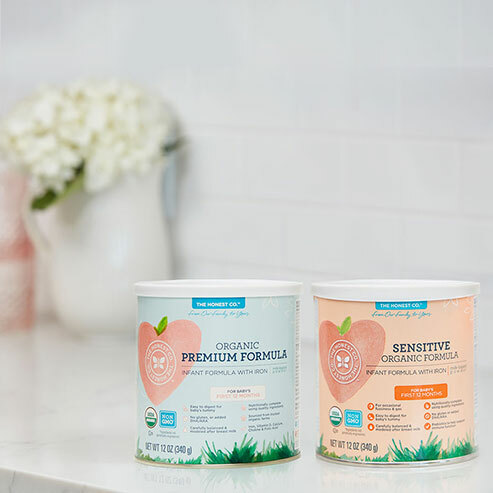 For the Organic Infant Formula Bundle, you will receive four or two tubs of Organic Premium Infant Formula or Sensitive Organic Infant Formula every 3, 4, 5 or 6 weeks, based on your selection, and may delay your next shipment as you wish. If you do not update your selections for a particular month, we will send you the same shipment we sent the previous month, subject to availability. If you purchase an Honest Box, you will receive a shipment every 3, 4, 5, 6 or 8 weeks, based on your preference. Your Honest Box will always contain the items selected at your initial checkout, unless edited by you in your subscription management in My Account. You may log into your account and customize your Honest Box subscription at any time. You can select up to 25 items to be included in your Honest Box from the many available products that are eligible for the Honest Box subscription. At this time, Honest diapers are not available in the Honest Box. You can customize each Honest Box shipment, including your shipping frequency and ship date by going to your account and clicking on My Bundles. If you do not update your selections for a particular shipment, we will send you the same product selection we sent in your most recent Honest Box order (subject to product availability) and will ship at the last shipping frequency selected. IF YOU ARE PLACING AN ORDER AS PART OF ONE OF OUR BUNDLES OR HONEST BOX SUBSCRIPTIONS, YOUR MEMBERSHIP IN THE PROGRAM WILL REMAIN IN EFFECT UNTIL IT IS CANCELLED BY YOU OR BY THE HONEST COMPANY. WE RESERVE THE RIGHT TO CANCEL YOUR BUNDLE OR HONEST BOX SUBSCRIPTION AT ANY TIME. We will charge your bank or credit card when we ship your first order. Four weeks after your initial order, you will be charged $79.95 USD (Diapers & Wipes Bundle), $35.95 USD (Essentials Bundle) or $35.95 USD (Health & Wellness Bundle), plus applicable taxes and shipping & handling (depending on your Bundle) every four weeks, until you choose to cancel or change the shipping frequency of your Bundle subscription. 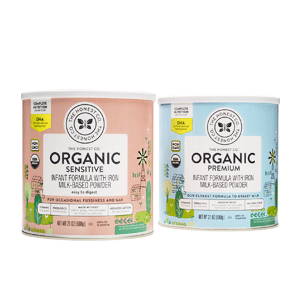 The Organic Infant Formula Bundle charge is $59.95 per 2-tub shipment or $110.95 per 4-tub shipment, every 3, 4, 5 or 6 weeks, plus applicable taxes and shipping and handling (if applicable), until you choose to cancel or change the shipping frequency of your Bundle subscription. The Honest Box subscription charge will recur every four weeks, until you choose to cancel or change your shipping frequency. If you add or remove products from your Honest Box, your total recurring price will be updated accordingly. $100.00 or more results in savings of 25% off your shipment subtotal value + free shipping in the contiguous U.S.
You may cancel your Bundle and Honest Box Subscription(s) at any time. To cancel your Bundle and Honest Box subscription(s), you can do so online at any time (in your account settings) or by calling Honest Support at 1.888.862.8818 Monday – Friday 5 AM – 5 PM Pacific. Please note: Bundle and Honest Box subscriptions cannot be cancelled via email, Facebook or other forms of social media. If you would like to exchange or return a product, please contact Honest Support at 1.888.862.8818. Most returns can also be initiated online and are accepted within 90 days of your order. THE LAWS OF CERTAIN JURISDICTIONS, INCLUDING QUEBEC, DO NOT ALLOW THE EXCLUSION OR LIMITATION OF LEGAL WARRANTIES, CONDITIONS OR REPRESENTATIONS. IF THESE LAWS APPLY TO YOU, SOME OR ALL OF THE BELOW EXCLUSIONS OR LIMITATIONS MAY NOT APPLY TO YOU, AND YOU MAY HAVE ADDITIONAL RIGHTS. EXCEPT AS OTHERWISE SPECIFICALLY PROVIDED, THE SITE AND THE PRODUCTS OFFERED ON THE SITE ARE PROVIDED ON AN "AS IS" AND "AS AVAILABLE" BASIS AND WITHOUT WARRANTIES OR CONDITIONS OF ANY KIND, UNLESS SPECIFICALLY SET FORTH OTHERWISE. TO THE FULLEST EXTENT PERMISSIBLE UNDER APPLICABLE LAW, THE HONEST COMPANY DISCLAIMS ALL WARRANTIES, EXPRESS OR IMPLIED, INCLUDING, BUT NOT LIMITED TO, IMPLIED WARRANTIES AND CONDITIONS OF MERCHANTABILITY AND FITNESS FOR A PARTICULAR PURPOSE AND NON-INFRINGEMENT. THE HONEST COMPANY DOES NOT REPRESENT OR WARRANT THAT THE FUNCTIONS CONTAINED ON THE SITE WILL BE UNINTERRUPTED OR ERROR-FREE, THAT THE DEFECTS WILL BE CORRECTED OR THAT THE SITE OR THE SERVER THAT MAKES THE SITE AVAILABLE ARE FREE OF VIRUSES OR OTHER HARMFUL COMPONENTS. THE HONEST COMPANY DOES NOT MAKE ANY WARRANTIES OR REPRESENTATIONS REGARDING THE USE OF THE MATERIALS ON THE SITE IN TERMS OF THEIR CORRECTNESS, ACCURACY, ADEQUACY, USEFULNESS, TIMELINESS, RELIABILITY OR OTHERWISE. THE LAWS OF CERTAIN JURISDICTIONS, INCLUDING QUEBEC, DO NOT ALLOW THE LIMITATION OF LIABILITY OR CERTAIN DAMAGES. IF THESE LAWS APPLY TO YOU, SOME OR ALL OF THE BELOW LIMITATIONS MAY NOT APPLY TO YOU, AND YOU MAY HAVE ADDITIONAL RIGHTS. THE HONEST COMPANY SHALL NOT BE LIABLE FOR ANY DIRECT, INDIRECT, INCIDENTAL, SPECIAL OR CONSEQUENTIAL DAMAGES THAT RESULT FROM THE USE OF, OR THE INABILITY TO USE, THE SITE OR MATERIALS ON THE SITE, EVEN IF THE HONEST COMPANY HAS BEEN ADVISED OF THE POSSIBILITY OF SUCH DAMAGES. The technology underlying the Site and the entire contents of the Site including, but not limited to, text, graphics, images, photographs, audio and video clips, digital downloads, data compilation or code is copyrighted under the United States, Canada and other copyright laws, and is the property of The Honest Company and protected by copyright and other intellectual property or proprietary rights. The work includes works that are licensed to The Honest Company. © 2011-2017. The Honest Company. All rights reserved. All trademarks, service marks and trade names of The Honest Company on the Site are trademarks or registered trademarks of The Honest Company or their respective owners. Our trademarks may not be used in any manner for any purpose without our express written consent. You agree to indemnify, defend and hold harmless The Honest Company, its officers, directors, employees, agents, licensors and suppliers from and against all losses, liabilities, expenses, damages and costs, including reasonable attorneys' fees, resulting from any violation of these Terms of Service, or any activity related to use of the Site (including negligent or wrongful conduct) by you or any other person accessing the Site using your identification or password. This Site may link to other websites operated by third parties. We have no control over these linked sites, each of which have separate privacy and data collection practices independent of The Honest Company. We are not responsible for and do not endorse or accept any responsibility for the availability, contents, products, services or use of any third party site, any website accessed from a third party site or any changes or updates to such sites. These linked sites are only for your convenience and therefore you access them at your own risk. You acknowledge that you bear all risks associated with access to and use of content provided on a third party site and agree that we are not responsible for any loss or damage you may incur from dealing with such a third party site. You should contact the site administrator for the applicable third party site if you have any concerns regarding such links or the content located on any such third party site. We welcome your feedback and comments regarding our products and services. However, we cannot accept or consider creative ideas, suggestions or materials, and we ask that you not submit any creative ideas, suggestions or materials of any kind to us. We hope you will understand that it is the intent of this policy to avoid the possibility of future misunderstandings when projects developed by The Honest Company's professional staff might seem to others to be similar to their own creative work. Accordingly, we ask that you not send us any original creative ideas, suggestions or materials of any kind, including show designs, photographs, drawings or original artwork. If you send us creative ideas, suggestions or materials of any kind despite our request not to do so (an "unsolicited submission"), you acknowledge and agree that we may treat the unsolicited submission to be non-confidential and non-proprietary in each instance and in all respects. All unsolicited submissions made by you shall be the sole property of The Honest Company and will not be acknowledged or returned. From time to time, we may solicit creative ideas, suggestions or materials from users of our Site. If you at any time send, provide us with or post creative ideas, suggestions or any other materials in response to our request (each, a "requested submission"), you acknowledge and agree that we may treat the requested submission as non-confidential and non-proprietary in each instance and in all respects. Submissions may also be provided in the form of opinions and views posted to community pages, chat rooms, blogs, bulletin boards, or discussion forums by persons who use (“User”) the Site (“shared submission”, together with unsolicited submission and requested submission, “submissions”). You are responsible for all submissions you provide to the Site, and you represent that you have all necessary permission to submit, post and otherwise make available such submissions. The Honest Company makes no claims to ownership of shared submissions and you shall continue to retain all ownership rights in your shared submissions and the right to use your shared submissions as you see fit. You agree that we have no obligation of confidence to you with respect to any submission and we shall not be liable to you in any way for any use or disclosure of any submission. We may use any submission without restriction for any purpose whatsoever, including, without limitation, reproduction, disclosure, transmission, personalization, publication, broadcast or posting, and you hereby irrevocably waive, release and give up any claim that any use of such submission violates any of your rights including, without limitation, copyrights, trademarks, moral rights, privacy rights, proprietary or other property rights, publicity rights or right to credit for the material or ideas. You hereby irrevocably grant to us the right, but not the obligation, to reproduce, modify, adapt, publish, broadcast, license, perform, post, sell, translate, incorporate, create derivative works from, distribute and otherwise use the submission in any and all media, now known or hereafter devised, throughout the universe, in perpetuity, without according you any compensation or credit. By submitting a submission to us, you represent that such submission is original to you and does not conflict with, violate or infringe upon the rights of any third parties including, without limitation, any intellectual property rights and rights of publicity and/or privacy. While The Honest Company strives to keep our content accurate, complete, and up-to-date, we cannot and do not guarantee or endorse, and are not responsible for, the accuracy, completeness, reliability or timeliness of any content, whether provided by The Honest Company or by Users. Any opinions, advice, statements or other information expressed or made available by Users or third parties, including but not limited to bloggers, are those of the respective User or other third party and not of The Honest Company. The Honest Company does not have any obligation to prescreen, edit, or remove any submissions provided by Users that are posted on or available through the Site. If any current or future provision of these Terms of Service is found invalid, void or for any reason unenforceable, that provision is severable and does not affect the validity and enforceability of any remaining provision of these Terms. The Honest Company is committed to diversity, inclusion and accessibility. These core values are fundamental to the way we do business and come through in the services we provide and the products we design. If you have difficulty viewing or navigating the content on this website, or notice any content, feature, or functionality that you believe is not fully accessible to people with disabilities, please contact our Customer Service team at 1.888.862.8818 or email our team at webaccessibility@honest.com with “Disabled Access” in the subject line and provide a description of the specific feature you feel is not fully accessible or a suggestion for improvement. We take your feedback seriously and will consider it as we evaluate ways to accommodate all of our customers and our overall accessibility policies. Additionally, while we do not control such vendors, we strongly encourage vendors of third party digital content to provide content that is accessible and user friendly. The Honest Company is committed to resolving all disputes in a fair, effective and cost-efficient manner. We seek to resolve any customer concerns through our Honest Support services at 1.888.862.8818. However, if you are dissatisfied with our customer service's resolution of your matter, these Terms of Service provide that disputes may be resolved in binding arbitration or small claims court. Our arbitration agreement for U.S. disputes, which is set forth below, has been designed to make arbitration as convenient and inexpensive for our customers as possible. We will abide by the terms of our current arbitration provision in all instances. For the purposes of this Arbitration Agreement, references to "The Honest Company", "we" and "us" include our respective subsidiaries, affiliates, agents, employees, predecessors in interest, successors and assigns, as well as all authorized or unauthorized users or beneficiaries of services or products under these Terms of Service or any prior agreements between us. (b) A party who intends to seek arbitration must first send, by U.S. certified mail, a written Notice of Dispute ("Notice") to the other party. A Notice to The Honest Company should be addressed to: Notice of Dispute, The Honest Company, 12130 Millennium Drive, Suite 500 Los Angeles, CA 90094 ("Notice Address"). The Notice must (a) describe the nature and basis of the claim or dispute and (b) set forth the specific relief sought ("Demand"). If you and we do not reach an agreement to resolve the claim within 30 days after the Notice is received by us, you or The Honest Company may commence an arbitration proceeding. During the arbitration, the amount of any settlement offer made by The Honest Company or you prior to selection of an arbitrator shall not be disclosed to the arbitrator until after the arbitrator determines the amount, if any, to which you or The Honest Company is entitled. You may download or copy a form Notice from The Honest Company General Notice Form (PDF). You may download or copy a form to initiate arbitration from the AAA website (http://adr.org) under the "Forms" tab. (c) After The Honest Company receives a Notice at the Notice Address that you have commenced arbitration, we will promptly reimburse you for your payment of the filing fee, unless your claim is for more than $75,000. (Currently, the filing fee is $125 for claims under $10,000, but this is subject to change by the arbitration provider. If you are unable to pay this fee, The Honest Company will pay it directly after receiving a written request to do so at the Notice Address.) The arbitration will be governed by the Commercial Dispute Resolution Procedures and the Supplementary Procedures for Consumer Related Disputes (collectively, the "AAA Rules") of the American Arbitration Association (the "AAA"), as modified by these Terms of Service, and will be administered by the AAA. The AAA Rules are available online at www.adr.org or by calling the AAA at 1-800-778-7879. The arbitrator shall be bound by these Terms of Service. Unless you and we agree otherwise, any arbitration hearings will take place in the county (or parish) of your contact address. If your claim is for $10,000 or less, you may choose whether the arbitration will be conducted solely on the basis of documents submitted to the arbitrator, by a telephonic hearing or by an in-person hearing as established by the AAA Rules. If you choose to proceed either in person or by telephone, we may choose to respond only by telephone or submission. If your claim exceeds $10,000, the AAA Rules will determine whether you have a right to a hearing. Regardless of the manner in which the arbitration is conducted, the arbitrator shall issue a reasoned written decision sufficient to explain the essential findings of fact and conclusions of law on which the award is based. You and we agree that any awards or findings of fact or conclusions of law made in an arbitration of their dispute or claim are made only for the purposes of that arbitration and may not be used by any other person or entity in any later arbitration of any dispute or claim involving The Honest Company. You and we agree that in any arbitration of a dispute or claim, neither of us will rely for preclusive effect on any award or finding of fact or conclusion of law made in any other arbitration of any dispute or claim to which we were a party. (e) The right to attorneys' fees and expenses discussed in paragraph (d) supplements any right to attorneys' fees and expenses you may have under applicable law. Thus, if you would be entitled to a larger amount under applicable law, this provision does not preclude the arbitrator from awarding you that amount. However, you may not recover duplicative awards of attorneys' fees or costs. Although we may have a right to recover attorneys' fees and expenses in certain jurisdictions if we prevail in an arbitration, we will not seek such an award. (f) The arbitrator may award injunctive relief only in favor of the individual party seeking relief and only to the extent necessary to provide relief warranted by that party's individual claim. YOU AND WE AGREE THAT EACH MAY BRING CLAIMS AGAINST THE OTHER ONLY IN AN INDIVIDUAL CAPACITY AND NOT AS PLAINTIFFS OR CLASS MEMBERS IN ANY PURPORTED CLASS OR REPRESENTATIVE PROCEEDING OR IN THE CAPACITY OF A PRIVATE ATTORNEY GENERAL. The arbitrator shall not have the power to commit errors of law or legal reasoning, and the parties agree that any injunctive award may be vacated or corrected on appeal by either party to a court of competent jurisdiction for any such error. Each party will bear its own costs and fees on any such appeal. Further, unless both you and we agree otherwise, the arbitrator may not consolidate more than one person's claims or otherwise preside over any form of a representative or class proceeding. If this specific proviso is found to be unenforceable, then the entirety of this arbitration provision shall be null and void. In Canada, if a dispute is not resolved through our Honest Support Services, the parties involved in the dispute may agree to resolve the dispute using final and binding arbitration. If the parties elect to use arbitration, claims shall be referred to the ADR Institute of Canada. For a copy of the procedure to file a claim, or for other information about this organization, contact them as follows: www.adrcanada.ca. These Terms of Service are applicable to you upon your accessing this Site. The provisions relating to Copyrights, Trademark, Warranty, Disclaimer, Limitation of Liability, Privacy, Submissions, Indemnification, Arbitration and Miscellaneous, shall survive any termination of these Terms of Service. When you invite friends to register for an account at Honest.com, you will receive a $20 USD Referral Credit for each friend or family member who makes a qualified first purchase. Your friend or family member must be a new member of The Honest Company and Honest Beauty (this offer excludes returning or existing members) and live in a different household. You will only receive a Referral Credit for your friend or family member's first qualified purchase if the purchase was a result of an invite from you via an authorized referral method. If your friend or family member does not click on the personal referral link in their invite email or other invite mechanism to accept your invitation, you may not receive a Referral Credit and we will have no liability to you because there is no discernible way to identify that the purchase resulted from your referral. A qualified purchase is considered an Honest Shop purchase (a la carte purchase) or a purchase of a Bundle or Honest Box subscription, excluding purchases of Honest Gift Cards or Gift Bundles. Free Trial orders also do not count as a qualified purchase. There is no limit to the amount of Referral Credits you can earn and Referral Credits will accrue with every eligible friend or family member you refer. You can track your Referral Credits by visiting the Invites section in My Account on Honest.com. If two people refer the same friend or family member, the member who sent the link that is used to create the new member's account will be considered the referring member, regardless of which link was sent to the new member first. There is a limit of one Referral Credit per new email address that is registered on Honest.com. Referral Credits are valid for 12 months from issuance. Your Referral Credits are automatically applied to your purchases at checkout in the order in which they expire (i.e., first to expire will be applied first). Referral Credits are issued to a single Honest.com account holder at our discretion and cannot be transferred between accounts or between users. Credits cannot be bartered, exchanged or sold. Referral Credits have no cash value by themselves; they are only deemed to have a notional cash value of $20 if they are used in connection with an eligible purchase on our Site. We reserve the right to limit or cancel your Referral Credits in our sole discretion if we determine that you have violated these Terms of Service, including through fraudulent or misleading referral activity (for example, by inviting fake people or individuals with whom you do not have a personal or family relationship to join The Honest Company, using false names, using multiple email accounts or email addresses, impersonating another person or otherwise providing false or misleading information to us) or if we terminate your account for any reason. You may also be liable for civil and/or criminal penalties under applicable law. Gift cards are available in any denomination between $10.00-$500.00 USD. The amount of the gift card that you purchase will be charged to your bank or credit card upon your confirmation and submission of the order. 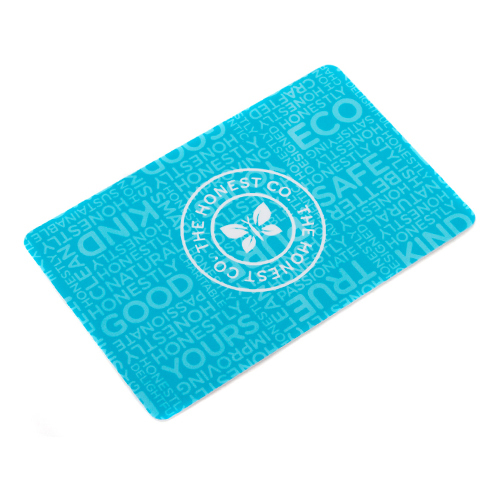 To make a purchase with an Honest gift card, the gift card holder must register an account with The Honest Company and must visit www.honest.com to redeem the gift card toward the purchase of eligible products from The Honest Company. Each purchase amount will be deducted from the gift card total credit balance until that balance equals zero. If an order exceeds the amount of total available credit on the gift card, the remaining balance must be paid with a bank and credit card. Your Honest gift cards have no expiration date. Gift cards cannot be used to purchase other Honest gift cards or gift bundles and they cannot be reloaded, resold, transferred for value, redeemed for cash or applied to any other account, unless otherwise required by law. Gift card purchases cannot be refunded. Purchases of items from Honest.com can be returned pursuant to our return policies set forth in this policy and elsewhere. The Honest Company reserves the right to close member accounts and request alternative forms of payment if a fraudulently obtained gift card is redeemed and/or used to make purchases on the Honest.com website or mobile application. THE LAWS OF CERTAIN JURISDICTIONS, INCLUDING QUEBEC, DO NOT ALLOW THE EXCLUSION OR LIMITATION OF LEGAL WARRANTIES OR CONDITIONS. IF THESE LAWS APPLY TO YOU, SOME OR ALL OF THE BELOW EXCLUSIONS OR LIMITATIONS MAY NOT APPLY TO YOU, AND YOU MAY HAVE ADDITIONAL RIGHTS. THE HONEST COMPANY MAKES NO WARRANTIES, EXPRESS OR IMPLIED, WITH RESPECT TO GIFT CARDS, INCLUDING WITHOUT LIMITATION, ANY EXPRESS OR IMPLIED WARRANTY OR CONDITION OF MERCHANTABILITY OR FITNESS FOR A PARTICULAR PURPOSE. IN THE EVENT A GIFT CARD CODE IS NON-FUNCTIONAL, YOUR SOLE REMEDY, AND OUR SOLE LIABILITY, SHALL BE THE REPLACEMENT OF SUCH GIFT CARD. For questions about Honest gift cards, please contact Honest Support Honest Support at 1.888.862.8818 Monday - Friday 5AM - 5PM (Pacific).